December Daily is always one of those things I've thought 'that looks like fun' about but never actually attempted. Often with these things, I'm not sure my life is exciting enough, and I never plan ahead and I'm pretty rubbish at keeping the momentum with things! This year however I am going to do it. I am. I'm prepared. I'm amped up to do it. 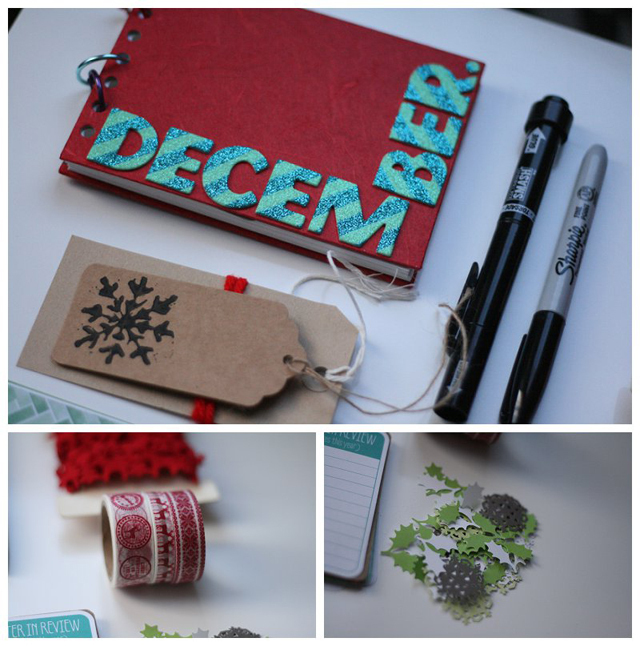 I'm going to record my December and I am going to enjoy it! And after the year that 2014 has thrown at me it seems fitting to record the end of it with some celebration! Here are just a few of the bits I'll be starting with. I bought this cute little sketch book from a local art supplies shop. It's the perfect small size and after I had ripped off the binder and replaced it with book binder rings I think it'll be perfect for adding stuff in to. Washi tape. Obvz. 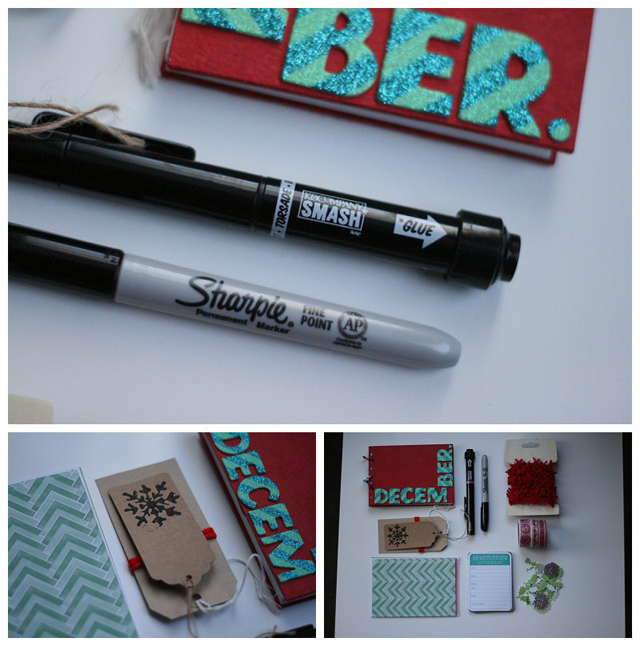 Smashbook pen - this has a lovely pen at one end and a glue stick at the other. Genius. And essential for on the go crafting. Random reindeer bunting. Christmas tags. Christmas embellishments. Random, but Christmassy bits of paper - some from my supplies, but others scavenged from the Project Life kits I've bought and then never used. (I'm a big fan of starting and not finishing a project!) I know as I start more stuff will appear in the kit but this is what I am starting with. I'm planning on using the paper in the book and also adding things in by hole-punching them and adding them to the book. I'm trying to let my brain know that getting through this as a month project, rather than having it perfect is the goal. Although the amount of beyond perfect December Daily books I've pinned might be going against that mantra. 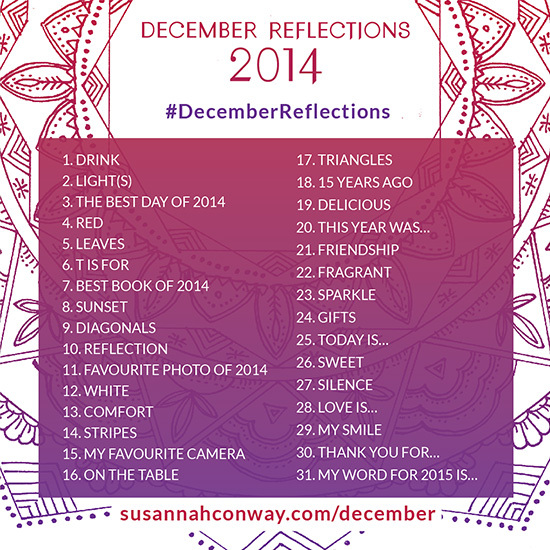 And I'm also going to be trying to keep up with Susanna Conway's December Daily - probably in the book, but maybe on Instagram too! The prompts are here and you can read more here! 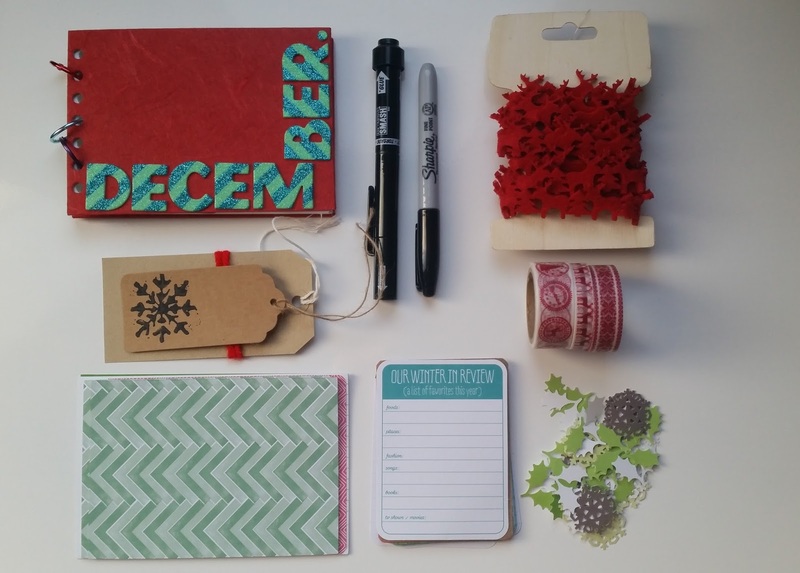 Will you be recording December or are you sensible and letting this crazy month go without adding to the mess of stuff you need to do? I always fail at these things at this time of year but I think this one looks lovely - good luck with it! I'm not sure I'm going to post it here, well, not all of it but I'm sure I'll share some of it! WIN a top and a bag from Brakeburn!